Loaded with 20+ States’ Early Learning Standards and Australia EYLF and your customized ones too! Learning Genie has been serving many CA state-funded programs for DRDP2015. Read more. The most innovative tool for family engagement beyond sharing pictures and daily routines. Update children’s daily routines and learning activities with pictures and video with just a few taps. 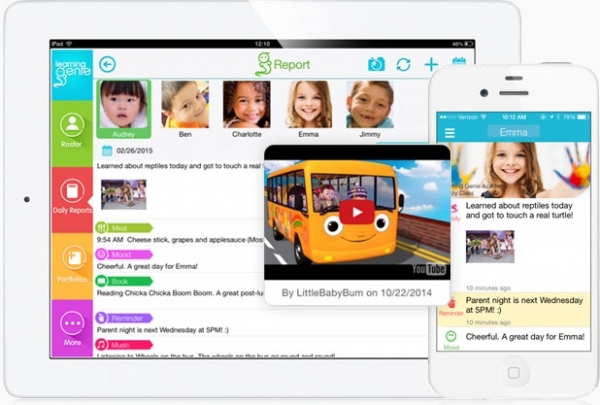 Share with parents via app and daily report email in a timely manner. Share with parents books read in the class, songs sung during circle time in digital form. Select from a built-in list of parenting/ education tips and share with parents for collaborative home-school education. Built with a proprietary safeguard filter to ensure all contents are appropriate. Home-school connection and parent involvement made super easy and more effective with the Learning Genie interactive daily reports. Learning Genie is serving more than 1000+ child development centers/preschools, including school districts, agencies, private learning centers, and family childcare providers. 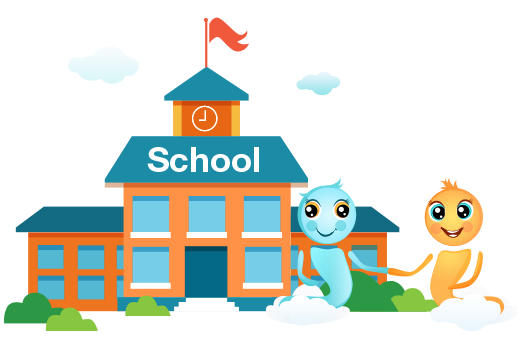 Learning Genie provides the most powerful and flexible portfolio and assessment rating tools for child development observation, documentation, and assessment rating. It is ideal for state or federally funded programs (e.g., publicly funded ECE programs who are required to do DRDP) to meet the documentation and assessment reporting requirements set by the Department of Education. In addition, Learning Genie’s innovative and interactive daily reporting feature makes Learning Genie the leader in family engagement. It is not a simple photo sharing or daily routine reporting tool. Rather, it is aimed to truly involve parents in children’s early learning to achieve the best home to school connection. By enabling the teacher to share learning contents such as ebooks, songs, interactive learning media as well as parenting tips, it enables a better bonding between parents and children through interactive learning together. We believe these will ultimately improve the quality of the program as well as children’s early learning outcomes. Learning Genie is committed to provide high quality product and services to early childhood educators. We are currently a proud partner of 40+ College Lab Schools/Centers in California, including San Diego City College Child Development Lab Center, Fullerton College Lab School, Long Beach City College Lab School, Bakersfield College Lab School, and Napa Valley College Lab School, to name a few. Learning Genie is also a proud partner of San Diego AEYC and Florida AEYC.